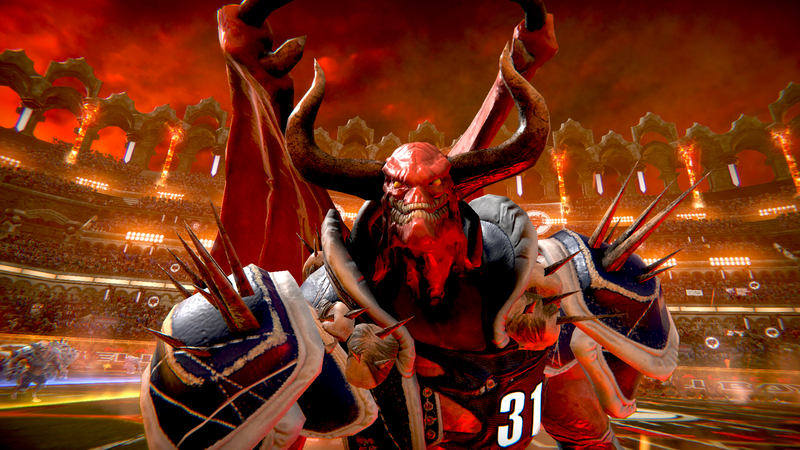 Mutant Football League has been on consoles since early this year, but this bundled in DLC, included with the physical copy of the game, might be the extra incentive you need to finally make the purchase. Mutant Football League: Dynasty Edition blitzes into retail September 18th (for PS4, Xbox One, and Nintendo Switch). This brutal arcade style football game serves as a spiritual successor to the retro classic Mutant League Football. Dirty Tricks Gameplay – Players can get their hands dirty for an advantage, with tactics such as Bribe the Ref, throw Bombs, or equip Shotguns and Chainsaws to inflict maximum carnage against the unsuspecting competition.